Get ready to power up! 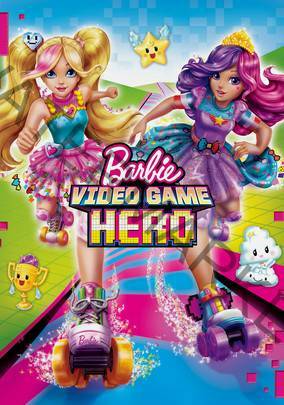 When Barbie magically gets pulled into her favorite video game, she is excited to see she’s transformed into a fun roller-skating character. In the game, she meets Cutie, the lovable cloud-shaped friend, and Bella, the roller-skating princess. Together, they soon discover a mischievous emoji is trying to take control of the game. As they travel from level to level, Barbie must rely on her amazing gaming skills and out of-the box thinking to save her team and beat the game!